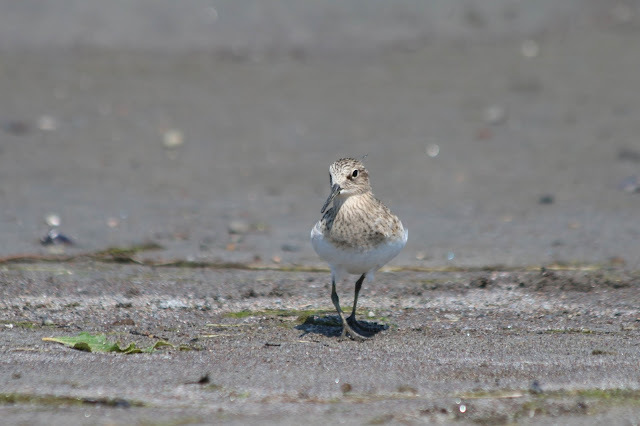 After dissing the Portland shorebird scene in my last post I spent my days off this week shorebirding like a madwoman. 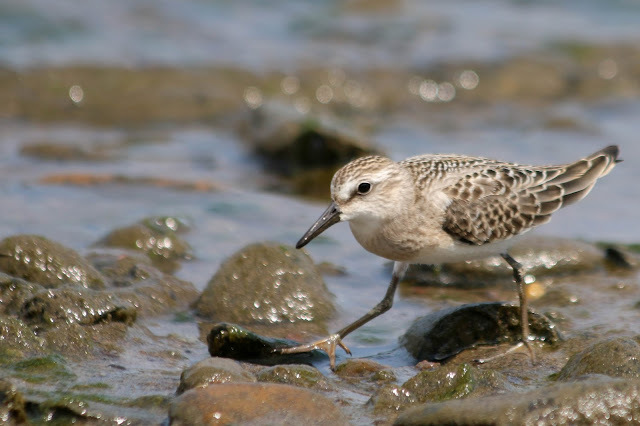 It began Tuesday morning when I received a tip from another local birder, Tait, that a Baird's Sandpiper was hanging out at Broughton Beach. I went out there to sit in the mud and hope for the best. A small flock of about eight peeps joined me and meandered the shoreline about six feet away. 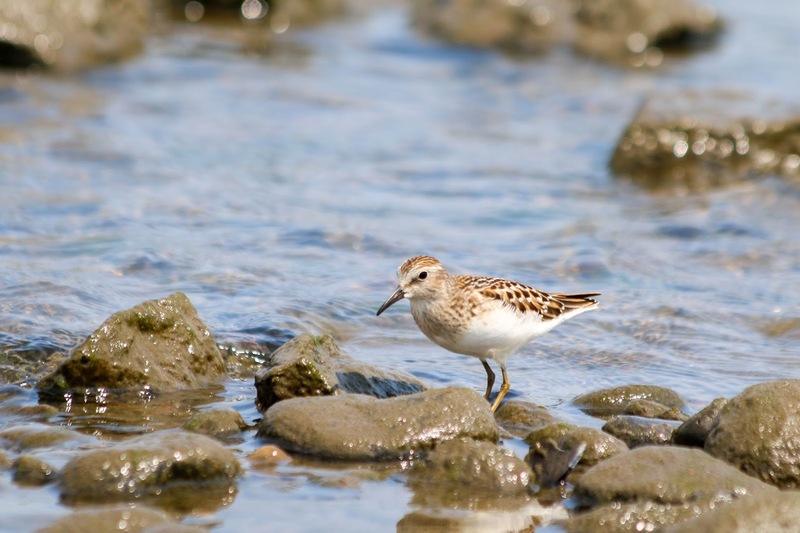 Western Sandpipers can be picked out by their longer bills and dark legs. The ones I usually see look grayer overall with just a bit of rufous. 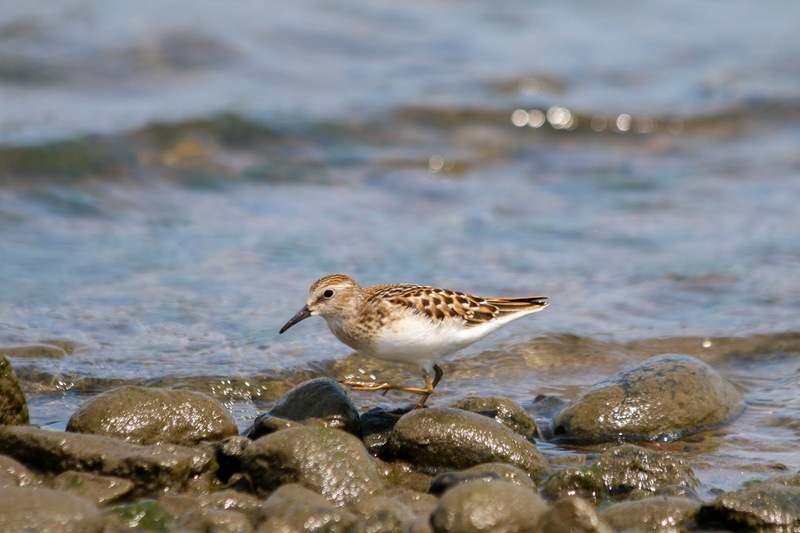 Least Sandpipers like the one below are generally the easiest for me to pick out with their yellow legs, short bill, and rufous coloring. Here's another less flashy Least, but who is that creeping behind him? That back bird appears to have no rufous coloring at all, a short bill, and muck-colored legs. Could it be a Semipalmated Sandpiper? Yes. Yes it could be. The first one I've found on my own (with verification by Seagull of course). 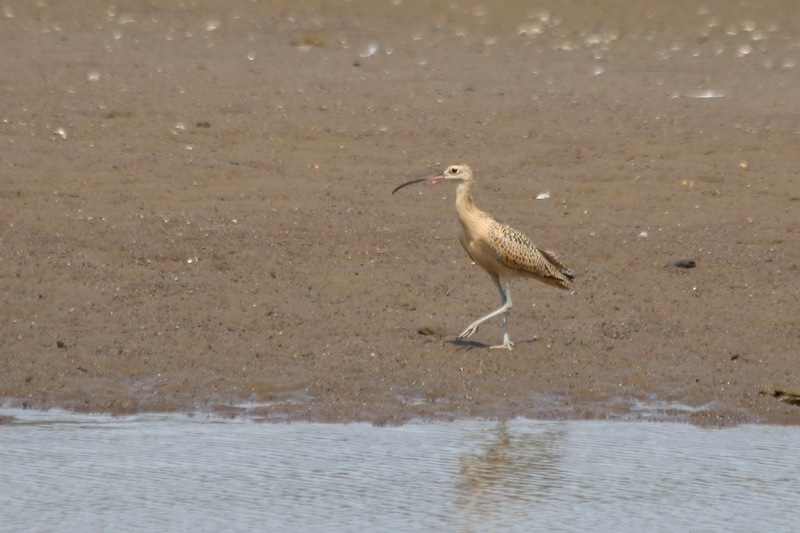 A Long-billed Curlew! 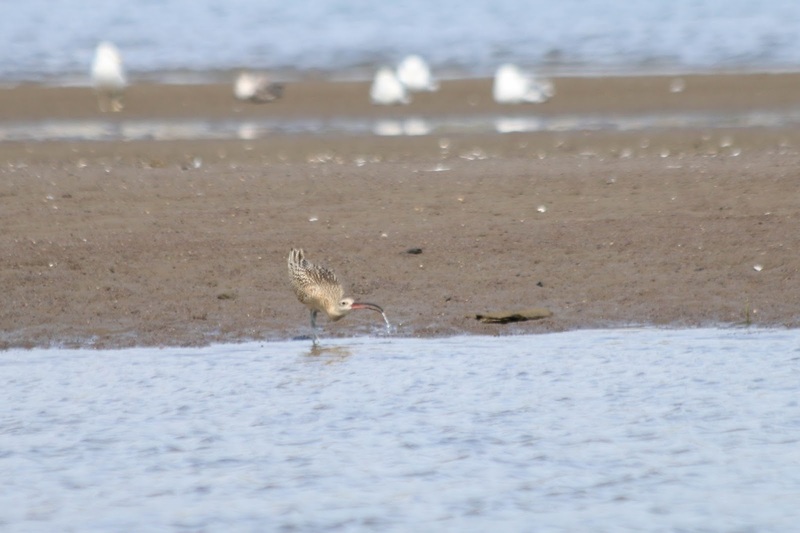 Of course I embarrassingly identified it as a Whimbrel at first, only realizing my error as I hit send on my post to OBOL, but I corrected it quickly. The bird appeared super thirsty and proceeded to down water in a hilarious manner that was not captured well on camera. 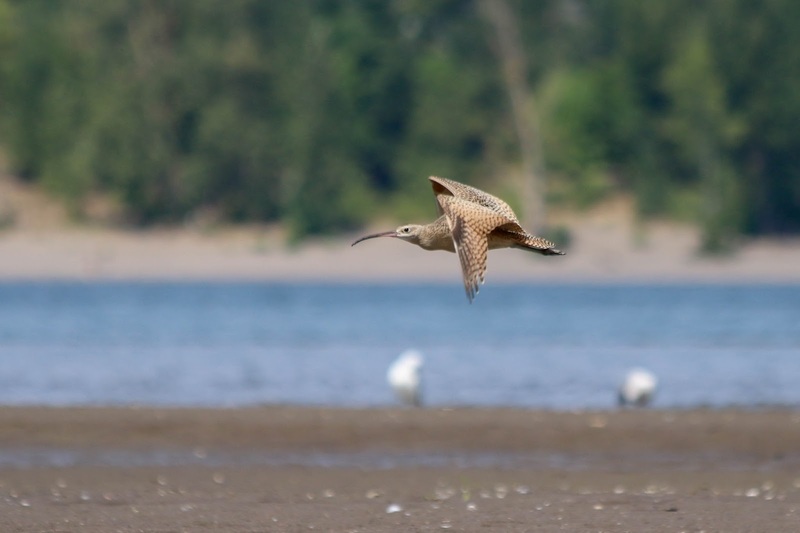 A Long-billed Curlew had been seen flying by here by Tait about a week before, but other than that the only records on eBird that I see are from April 2013 near Broughton Beach, and April 2006 at Smith and Bybee Lakes. This was a good bird. A county bird. The bird flew after about ten minutes of drinking and preening, and I feared no one else would get to see it. 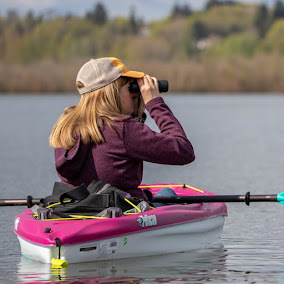 Thankfully this was not the case, the bird made a number of trips back and forth from Broughton Beach to the aiport and quite a few people have seen it since. 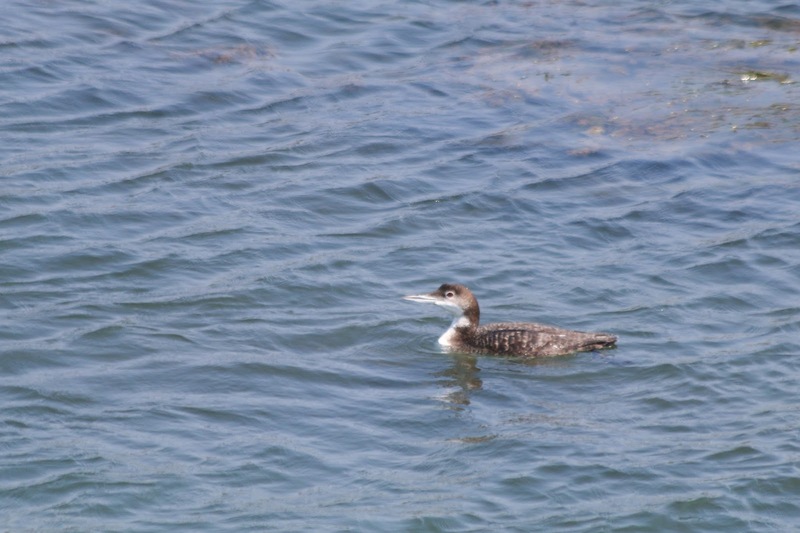 Fun fact: this is the only Common Loon in August in Multnomah County in eBird. 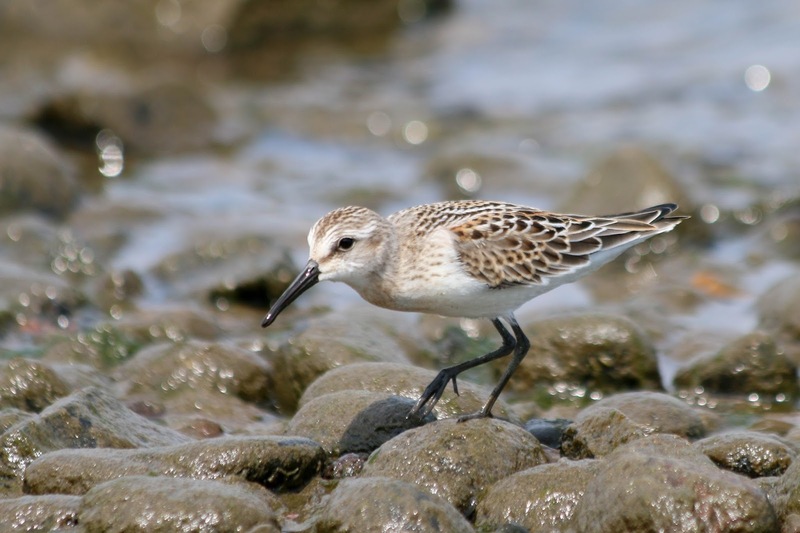 I met up with my friend who had just had some peeps and larks farther up the beach. 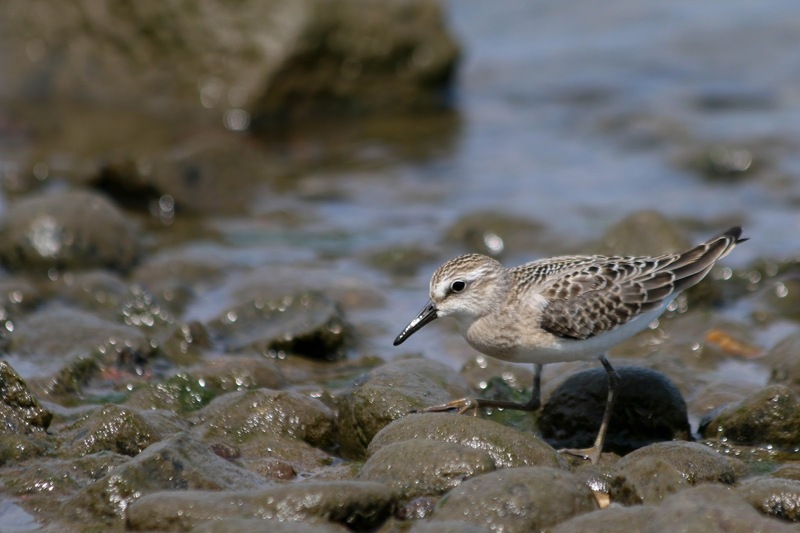 We walked over and found the Baird's Sandpiper, who seemed to want nothing more than to get close to us. 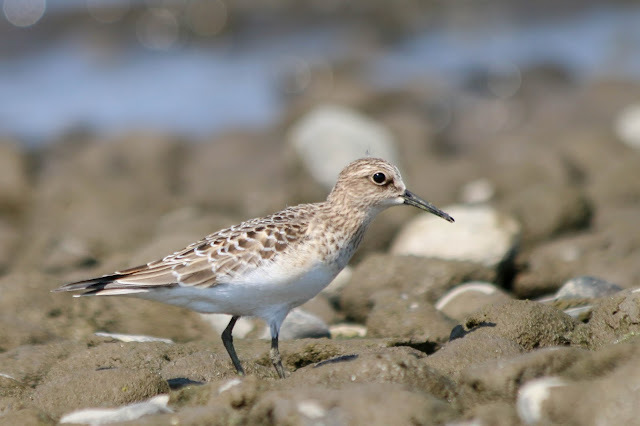 This was another county bird for me, though one I should probably have had by now. 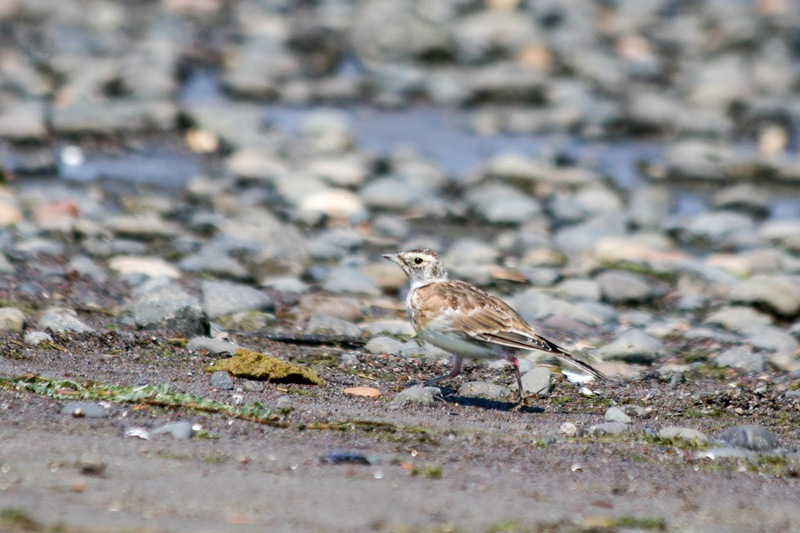 While we were watching the Baird's, two Horned Larks wandered down the beach and I tried to get my first ever Horned Lark/Baird's Sandpiper combo photo. Weak results. I was up to four new motorless birds and still hoping for the curlew. 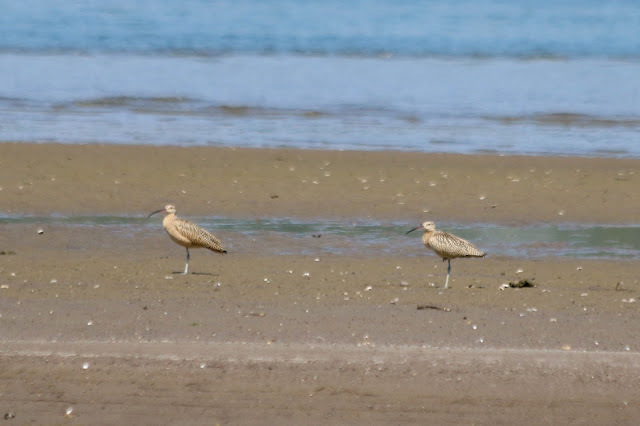 We walked back to the mudflats where we had seen it before and a voice called down from the bike path above "Long-billed Curlew!" The backlit birder was pointing and we looked over to find TWO curlews! Amazing. We stayed down on the mud to watch the birds sleep and occasionally un-tuck their heads. Five new motorless birds for the year, at least two of which were new for my motorless life list. Yay. In other Portland shorebirding news, my old patch Force Lake has dried up quite a bit and is currently hosting over a hundred peeps. This is quite indicative of our dry and terrible (i.e. hot as f) summer. 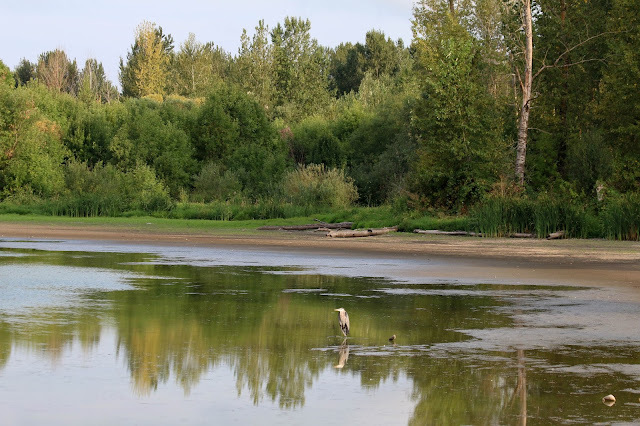 Smith Lake, on the other hand, is usually ripe with shorebirds at this time of year, and sometimes avian botulism. This year that will not be an issue because there is no water. Zilch. Nada. It almost looks like a cornfield. No pelicans swimming, no Osprey fishing, and certainly no stray American Avocets showing up here. I hear Bybee Lake still has water, so there's hope. 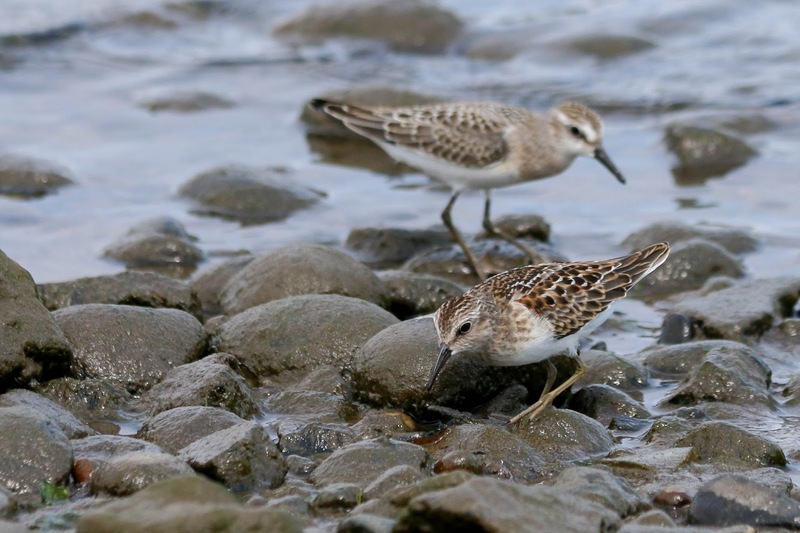 And that is the state of shorebirding in Portland. Maybe it's not so bad after all. Not bad shorebirding at all. And A+ on the photography. Those Curlews are pretty sweet anywhere, but all the better that it was a county bird. Good job sorting out all those sandpipers Jen, It would take me a week trying to pin the name on the bird! Awesome on the Long Billed Curlew...can't believe the lake dried up--what is the source is it stream fed or rain fed? I don't know the details on the lake, but it usually dries up quite a bit in the summer so most likely rain fed? Curlews totally make the scene; it's not a rock-the-century shorebird party unless they make an appearance. Pretty crushy with the Baird's...that's not something one sees everyday. 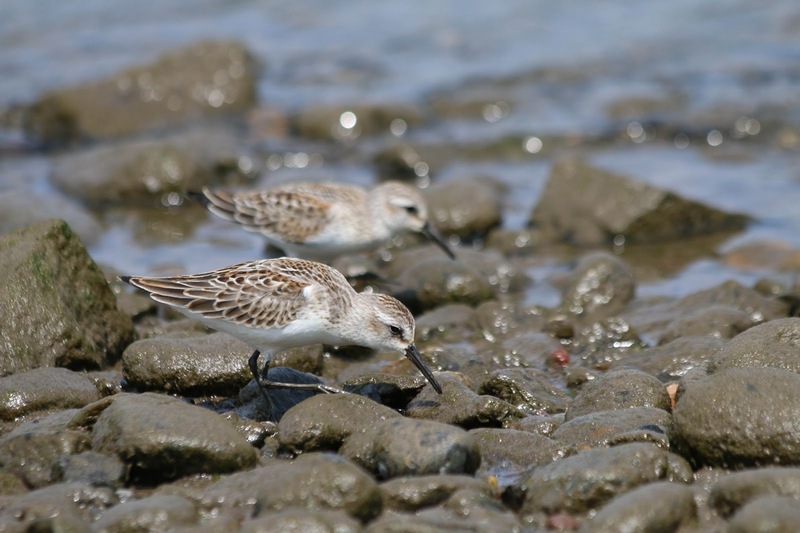 I do love a rock-the-century shorebird party. 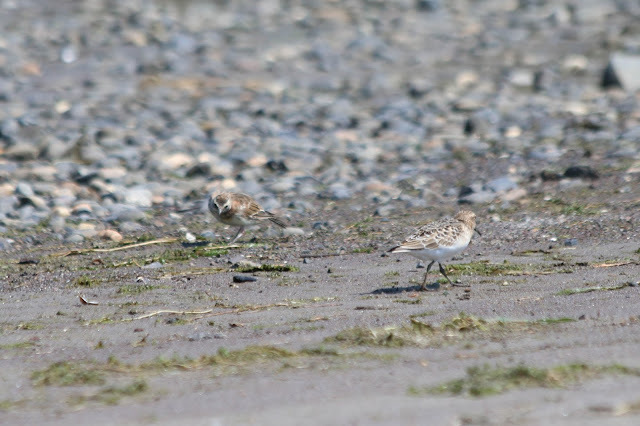 Way to go on the curlew, but I have to say I like the Baird's Lark best. Great two-fer! Also, way to be killing it on the motorless list. Thanks, Greg, just trying to stay one step ahead of you! Great job picking out the Semipalmated Sandpiper on your own. That is a milestone in your identification skill-set, Jen. Well done! Thank you, Greg! Being within ten feet of the bird helps me a lot- still not sure I could pick one out in the scope.